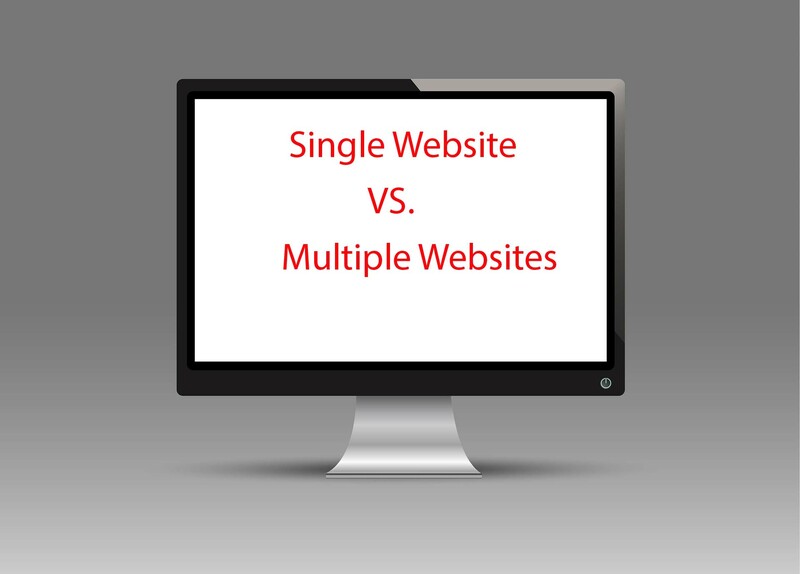 Multiple websites Vs. Single website - Which is better for you? I know having multiple websites is difficult but today in this post I will be sharing the Pros and cons of having a single website and Multiple websites. I am currently running three websites which make me sometimes little confusing and irritated. When I was running my only single Website named Tricky Enough, I was far more relaxed and was also able to concentrate more on it. But Now I have three Websites with three different niches which make it a lot difficult for me do that. Although, Now I have a team which helps to me run these Websites with a different niche. If done by one person, it is good. And even a single individual can handle the SEO things. For a person, it ‘s hard to do On-Page SEO. A team of professionals is required to do the different phases of On-Page SEO like Brainstorming, Keyword analysis, keyword targeting and creating links with multiple websites. A Single person who knows designing and development can do all work. It is possible for a single person to do the work but it will time-consuming and be tiring if done. So, if the team divides the designing and development process, then it becomes a lot easier. Link building is a vast thing. It involves the techniques like Guest blogging, Profile Creation, Blog commenting, social bookmarking, SMO and many things. Which can be done by a single person. But it depends on the website owner that how quickly he or she wants a result, so a team may be required to do that process a little quicker. Same is the Answer with Multiple websites. Having a single website means we have to create links from others websites and blog which is a lot difficult. Having multiple sites means that we can get some quick links from our websites without any difficulty. Even I have linked three of my websites with each other. A team may not be required to handle a single website. For handling the multiple websites, a team becomes a compulsion. A blogger never or very rarely gets his work done from outside. But with multiple websites, many bloggers and webmasters outsource their projects. It can be a lot easier with one website because one has multiple tasks only on the single website and the results of the website can be good and quick. And More organic traffic can be gained easily. Keeping an eye on multiple Websites can be a lot difficult. The Same process of Search engine optimization has to be done with the Multiple Websites which becomes a time consuming and difficult task. There are many things to consider before going for Multiple websites. Well according to my personal experience I will suggest you go with a single website with single niche only if you don’t have a dependable team. But if you have a team then I will recommend you to go with multiple websites with the different niche. And Also would love to know your opinion about the same. So, please share your opinion through the comments. I am with a single website and totally loving it. Yes, most of the opportunities may miss being the single writer but that’s worth investing time to become an authority. I am glad that you liked my post. Keep visiting and have a good day ahead. Your thought pattern and list positioning is in order. I celebrate your wisdom. Great work was done by you. I was following your blog for quite some time now. And became a fan of your writings. I was looking for this information multiple websites or a single website. And your post helped me in it. I agree with you, having multiple website isn’t easy to manage for a single person. I have been through with this situation but if you have a proper strategy and you are sticking with it, then it would be much easier. I have friends who are managing 50 websites solely without any problem but all they have strategy for that. Thanks for throwing light on this topic. Yes, If we are following the right strategy then we can go with the multiple websites. I do have multiple sites but I am only focused on one at this time. I believe in working with perfection on one than putting hands in every thing and eventually losing all. Well I guess it totally depends on our management skills. If we have good team we can easily manage multiple blogs easily. I guess totally agree about the single blog for part time bloggers. You have elleborat very nicely these two big topic. I’m totally agree with you points and I also believe that single website is great. And I always have amazing experience from it. But, you need to apply effective strategies for better results. Eventually, thanks for exploring. Hi Robin, This is a very good topic you have narrated here. To run multiple blog network one have to be very much efficient or have a strong team. Personally I tried to run couple of websites together and finally felt that the focus has been distributed as my time is limited. One should know first how to build a single website successful and then start working on niche websites besides that if time permits.